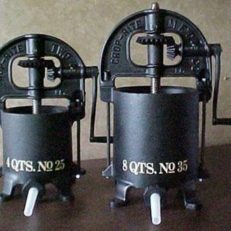 The Chop Rite Sausage Press is made of cast iron, made in America, and will become a family heirloom. This 8 qt press holds approximately 16 lbs of meat. 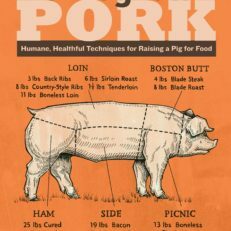 Make homemade lard, apple cider, or sausage with this quintessentially American homesteading tool. 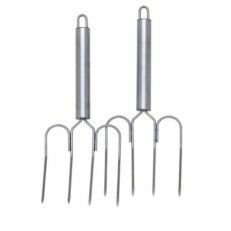 The Chop Rite Sausage Stuffer (or “Press”) is the perfect tool for making homemade lard, apple cider or….sausage! 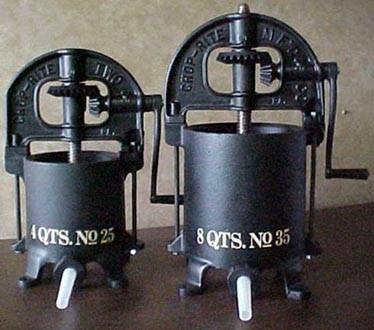 This 8 quart press holds approximately 16 lbs of meat. 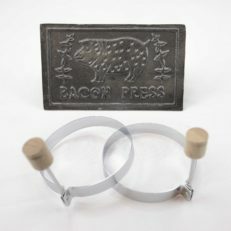 This American-made cast iron press weighs 70 lbs, so know that you are getting something that will pass down through the generations. 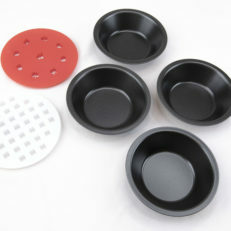 These presses originally went by the name “Enterprise” and all of the parts are interchangeable.